Happiness Unlimited...: Where is the compass of your life? Do you have the compass of your life with you? or you are being hit by situations and driven by life? Having a mission of life can set you in the right direction, and, trust me, life will never be the same again. Christopher Columbus was an Italian explorer, navigator, and colonizer, born in the Republic of Genoa (Italy). He completed four voyages across the Atlantic Ocean that ultimately led to the discovery of the American continents. Those voyages, and his efforts to establish permanent settlements on the island of Hispaniola, initiated the Spanish colonization of the New World. He did not have any map of the globe or the route that he was planning to take. He was moving to the unknown, undiscovered. He had no clue of the kind of weather and storms that he would have to face in the sea. He was not prepared. He had no clue of the marine animals that would challenge him on the way. He had no technical expertise about the undercurrents that run in the sea. His ships frequently ran out of food and water in the middle of journeys. He could never plan enough. Mutiny was a big problem that was faced by many explorers of his time. Often, when tempers were running high and morale low, the crew of a ship would revolt and take over the ship. Columbus's discovery of the Americas was nearly jeopardized by a mutiny, just days before the ship came across land. Expeditions were expensive, and they required funding from Europe's richest people. Food and hygiene was a big challenge. He ate biscuit which was a powder swarming with worms, which smelled of rats. They also ate sawdust from the boards. They ran huge risks of contracting scurvy, caused by lack of vitamin C found in fresh fruits and vegetables. 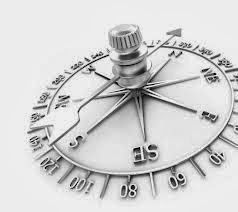 In spite of all these challenges, constraints and shortcomings, he had one key thing with him that kept him going : a compass. A compass which could guide him to the direction in which he was moving. And history will validate that he was pretty successful in his discovery. Your and my life in this yuga (Kalyuga) is an age of extreme uncertainty, in similar lines what Columbus faced before and during his voyages. We do not know what is going to happen in the next 1 hour. We are also marching forward towards an unknown and unpredictable future. We do not have a definite map or a plan of our life, but we are already on this journey. We have no clue of the challenges we will face in future. And, that's why, we are not even prepared to face those adversities. We have no clue of what undercurrents are going on inside us. Undercurrents of our vices, weaknesses - we have no idea what those weaknesses are, and how to prepare ourselves to tackle them. These internal weaknesses are very much capable of drifting us away from our intended goals. Worst, we do not even have a compass which can at least keep guiding, so that we can be aware whether we are moving in the right direction or not. Today, we are not directing our lives. Instead, the life and its situations are directing us. Worst, our direction is constantly getting changed depending on the circumstances and situations around us, because we ourselves do not know what the right direction is. So, with all this, who will show us the direction. Many times, i have heard people saying that it is God who is helping us move in the right direction. The moment someone says that, the very next moment there is a level of uncertainty about the existence of God and the right identification of God itself. So, let me ask you : Who is God? Christ, Rama, Allah, Krishna ?? How many of us really understand who is God. If we do not understand God, then how can that unknown force be our compass in life? It cannot be. If not God, then who / what is our Compass? In these times, what comes to our rescue is a clear identification of our mission on this planet. Are we here just to survive for 80-100 years? Thats it. Is that the only purpose of our existence? No. It has to be more value adding than this. We got to find a mission in our life, and start moving in the direction that our mission shows us. Our mission will be our compass in life. It will show us the right direction. When we have a definite mission, it becomes easier to take decisions in day to day life and continue to move in the direction of our mission. There are various scientific and well proven techniques to find out our mission in life, and it all starts with what makes you feel happy. Remember that a mission is very different from goals and dreams. It answers the "why" of your life, just like Columbus was clear about the "why" of his journey and his compass kept showing him the direction towards his why, and he achieved it in spite of all the challenges. Write back to me at 'help@happinessunlimited.co.in' and i can help you explain the difference between a mission, goals, dreams, plan, and how to go about setting these in your life. Finding your mission can be the best investment you would ever do.